Evaluator Groups – How can we help you? 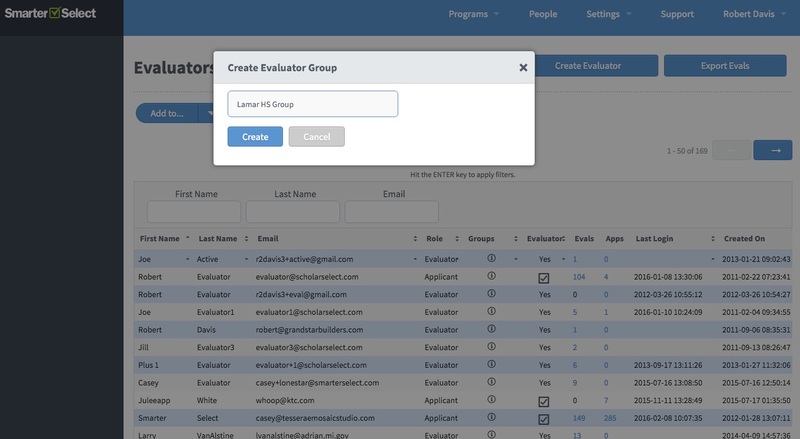 We've also added some features to make it easier to manage your evaluators including the highly requested Evaluator Groups feature. 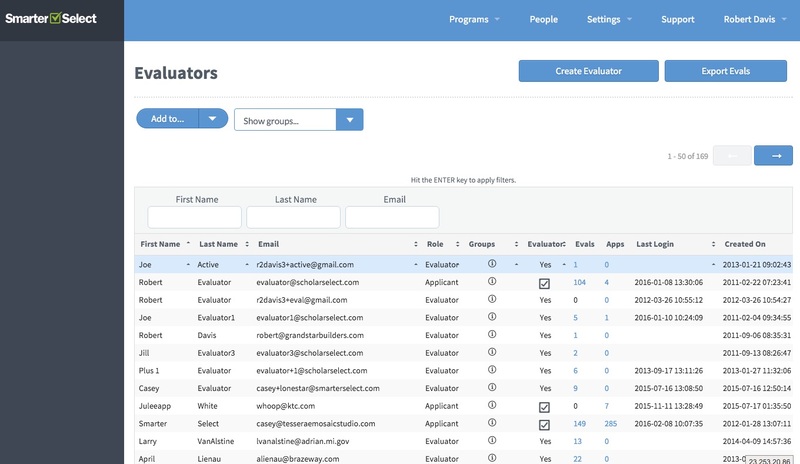 In the left column, click the Evaluator List link to get a People table with just your evaluators listed. 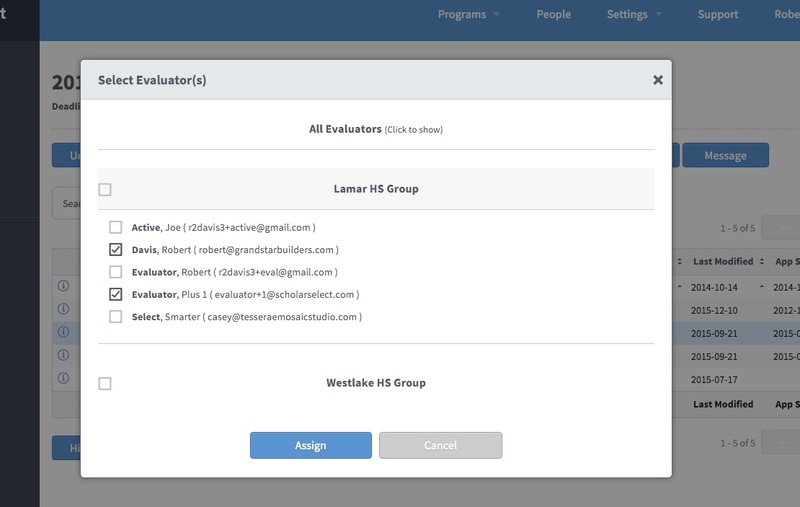 Click "Manage Evaluators" to assign evaluators to groups. Then, click on the rows for the evaluators to group, then click "Add to..." to create a "New Group" or add to an "Existing Group". 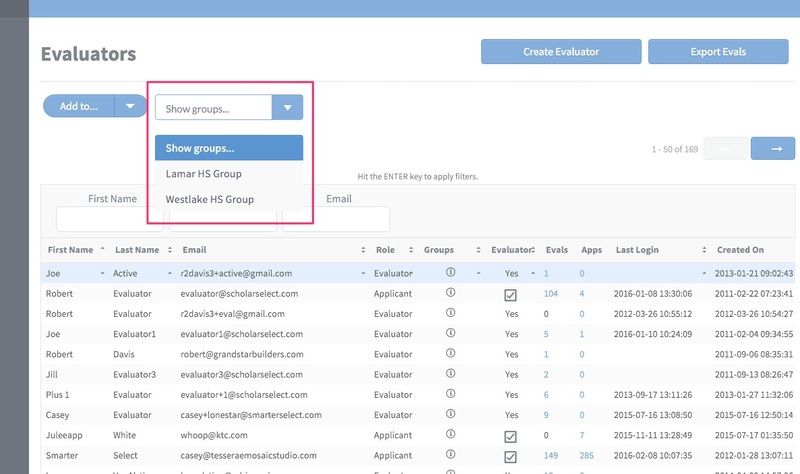 Click "Show groups..." to filter the Evaluators table to show your desired group. 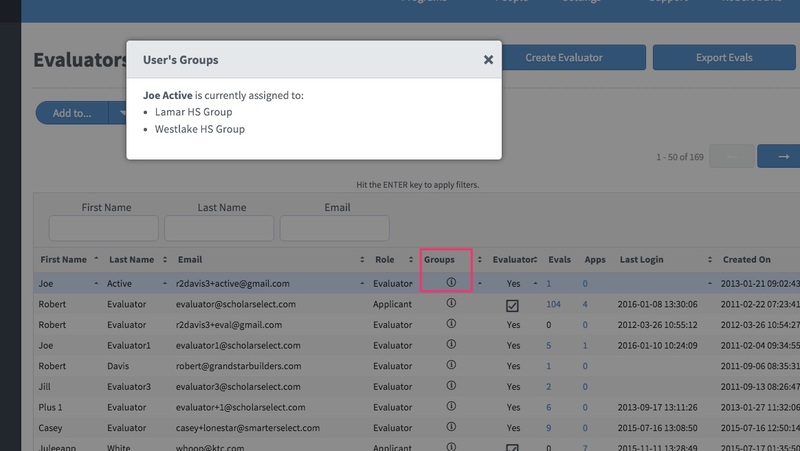 Click the "i" icon in the Groups column to see what Groups that a specific evaluator belongs to. 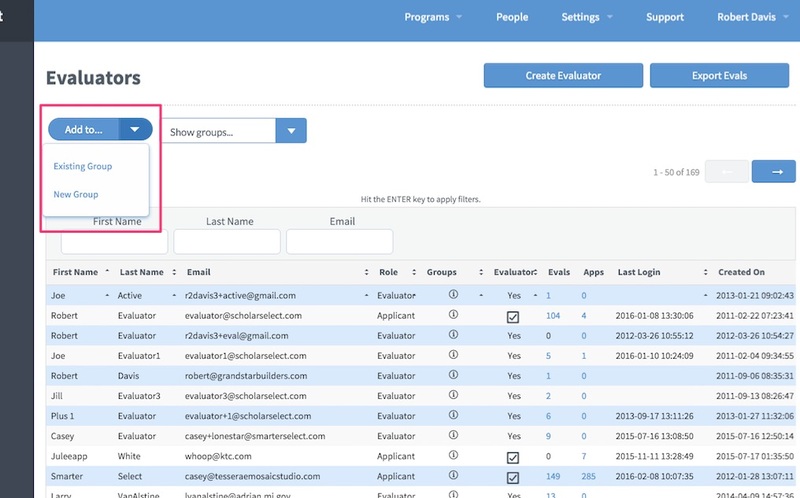 Finally, when it is time to assign applications to evaluators on the Applications page, click the row of the desired application(s) to assign, then click the "Evaluator" button. 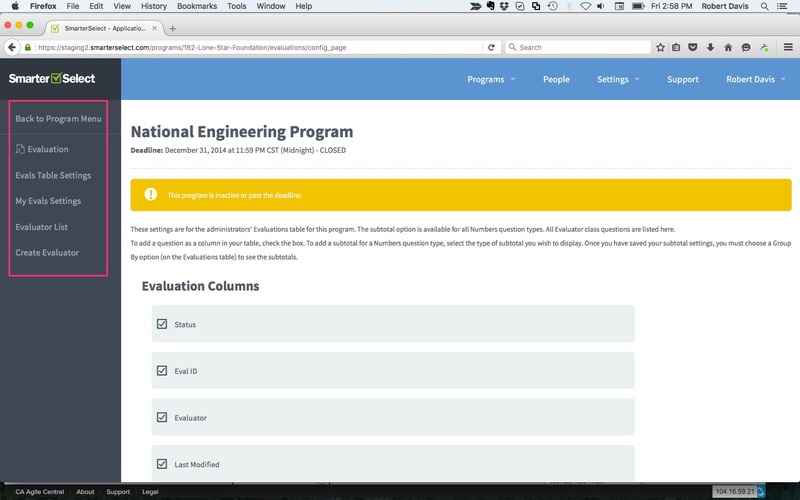 The Evaluators pop up box now shows "All Evaluators" or your desired Group. Just click the desired Group header (e.g. "Lamar HS Group") to see and select the evaluator(s) (e.g. one, some, or all) in that Group.